A slice of quirky with a dash of wonderful. Muddle together with fun, flavour and plenty of character. Next add entertainment, innumerable shots of gin, stir & finally garnish with sunshine. 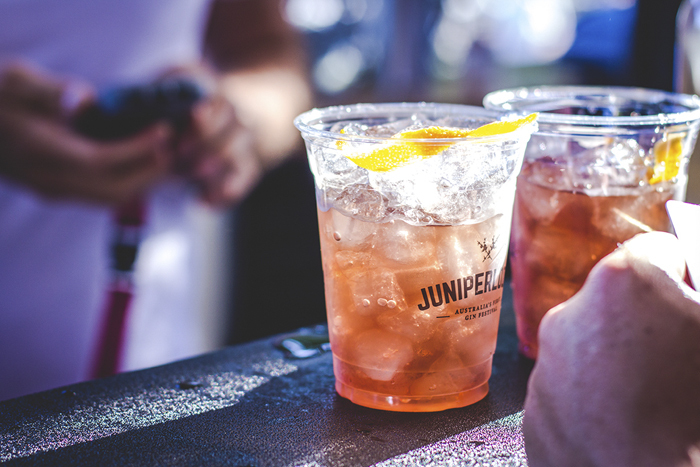 You know this Melbourne classic, it’s Australia’s original gin festival, Juniperlooza. Juniperlooza drank Federation Wharf dry last year and so has bar hopped to The Boatbuilders Yard on South Wharf. “Boaties” is big brother to Pilgrim Bar & Riverland. 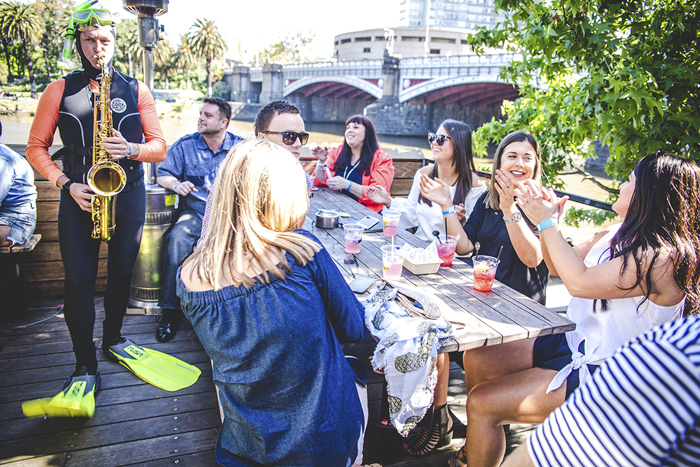 Boaties venue manager Brendan Stegmann is eagerly preparing The Boatbuilders Yard, an iconic Melbourne venue, rich in maritime history, for the festival. Early bird tickets are currently available for $35 from 1-31 August, grab them now, that saving means more money for gin! Once September 1st ‘shakes’ in, tickets are $45, which is still great value, not only do tickets gain you entry to Juniperlooza but a free gin and tonic (you can’t beat a classic G&T). Juniperlooza showcases eighteen independent Australian and international gin producers, this is a chance for you to get up close and personal, learn all things gin, from production, the rare and wonderful botanicals used to make the unique flavour of each gin and importantly how you should drink gin. Stay tuned, Juniperlooza’s social channels on Facebook & Instagram as they have promised to release their list of producers soon. Talk & Taste is an ongoing monthly series at Pigrim Bar. 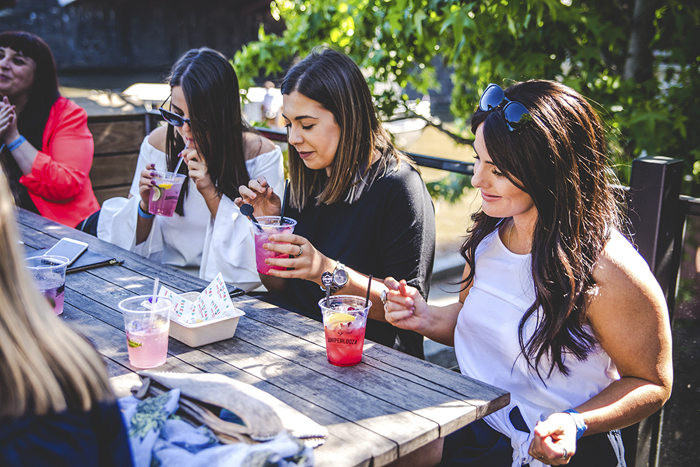 Given Juniperlooza’s origins on Federation Wharf, gin producers have run these intimate, educational Talk & Taste sessions throughout the festival. 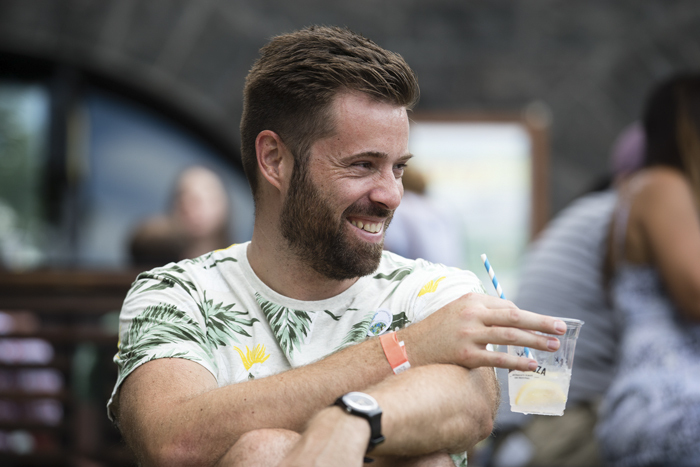 This tradition is continuing in Juniperlooza 2017, break away from the main festivities with a small group, meet a producer behind one your favourite gins. These sessions are informative, educational & perfect for the gin connoisseur or someone who is only just beginning their gin journey. The cocktails at Juniperlooza are made by the gin producers themselves, with this in mind the cocktail in your hand will be designed to best highlight the flavours of the gin. Just remember these are gin producers and if last year is anything to go by there is going to be a few cocktails that will be one part eccentric, one part fascinating and a whole lot delicious. 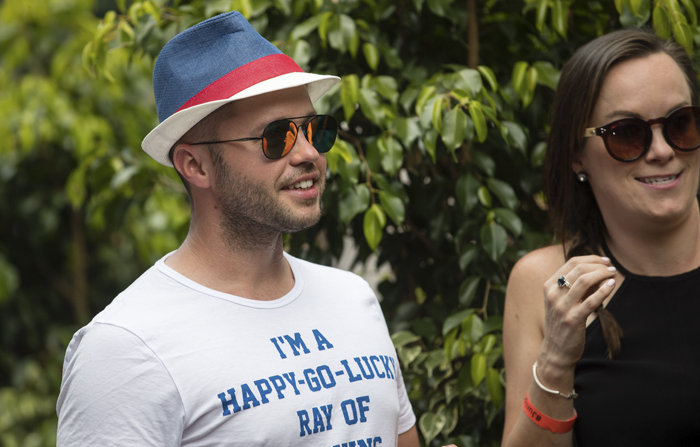 Food, glorious food, Juniperlooza ticks all your food boxes. Last year’s Juniperlooza we had a fresh seafood bar, buttermilk fried chicken slider, lobster roll, beef brisket baguette, chicken wings & gin macarons, and much more! Juniperlooza 2017 is sure to unleash your inner foodie, we’re all eagerly waiting on what will be coming out of the Boaties kitchen. You never know who is going to show up at Juniperlooza, a scuba diver marching band, magicians, acrobats in a giant martini glass or even the queen (of the desert). We really don’t know what to expect, so expect the unexpected. Whatever it is, it’s sure to be quirky, memorable & in the spirit of Juniperlooza. There will also be DJs playing throughout the event and all night long. Last year’s Juniperlooza was blessed with fantastic weather & was a fun day to catch up with old friends, make a few new ones all while sipping on a refreshing gin cocktail.